The MN T-Girls had our monthly outing today and it was no coincidence it took place on the same day as hundreds of demonstrations took place around the world putting a spotlight on women’s rights. I believe that being out on a day like today was important and although our rights could be taken away with a signature, it will not make US go away. We’re here, we are real people, we exist. So we marked the day by being together, by having coffee, by going shopping and trying on (and buying) dresses and having dinner. It was wonderful. I hadn’t been out for a while so I really was looking forward to our day. 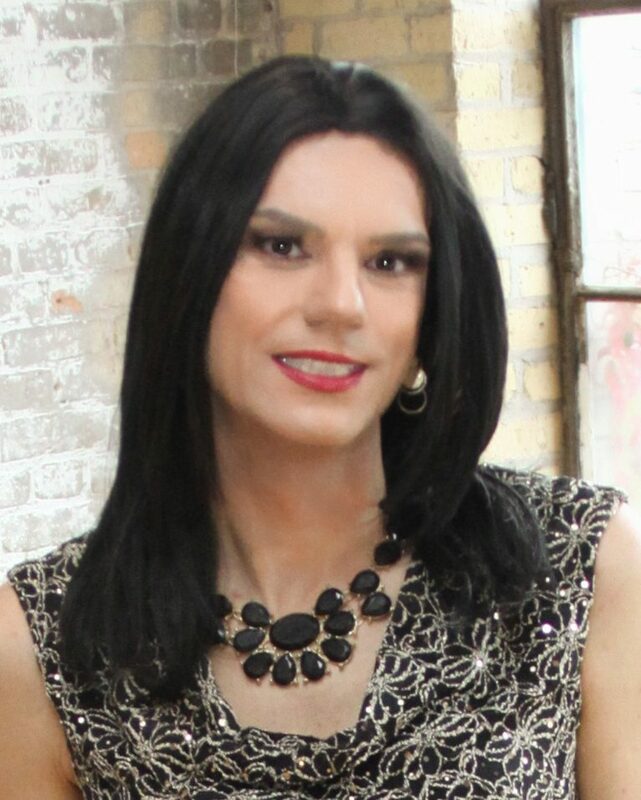 The Macy’s location in downtown Minneapolis is scheduled to close this spring and since Macy’s has a history of being pro-transgender, I thought a day out shopping would be a lot of fun. I headed downtown early to just enjoy being out and I was glad the weather was so nice and warm so I could wear my new dress. I did some window shopping and a had a coffee before I met up with the girls. We met up at Starbucks, had a coffee and chatted for a bit before shopping! It was a lot of fun shopping in a big group. We browsed the racks, looked at shoes and tried on a lot of dresses. We spent about two hours picking out outfits and clothes and had a lot of fun. Joanne in her new dress! I love this dress but I didn’t get it because it was not my size. And also because it was $348. I had a lot of fun trying on new dresses and I ended up buying two, but I really regret not picking up the long gold gown I tried on. Maybe next time. After we maxed out our credit cards it was time for dinner at The Union, just down the block from Macy’s. It was a wonderful way to spend the day and I can’t wait for next month’s event! That amount of money for a frock would be a bit extravagant! I spent my mum’s Christmas money on something soooo gorgeous for £45 in a sale (best I don’t tell her mind you!). Now I need an opportunity to go for a seriously posh night out with someone.